NORTH BETHESDA, Md. 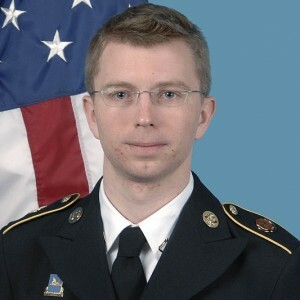 — Convicted Army Private Bradley Manning, who declared “I am a female” and changed his name to Chelsea in 2013 after being sentenced to prison for leaking classified information to Wikileaks, has announced his run for the U.S. Senate. “Yup, we’re running for Senate,” Manning tweeted on Sunday, receiving 9,000 likes as of press time. USA Today reports that Manning filed the paperwork on Thursday, and will be running as a Democrat. The seat is currently held by Sen. Ben Cardin, who serves on the Senate Foreign Relations Committee. Manning, who had been arrested in 2010 after releasing “more than 700,000 documents, including battlefield reports and U.S. Embassy cables” to Wikileaks, was released from prison in May after his 35-year sentence was commuted by then-President Barack Obama. In 2015, the military approved Manning’s request to obtain hormone treatments for gender reassignment as he had changed his name to Chelsea and wanted to present himself as a woman. The decision came in light of a lawsuit in which it was alleged that the Army was not doing enough to address his gender dysphoria, and that if he did not receive the treatment, he was at high risk for suicide. Word that Manning was running for Congress drew mixed response over the weekend. “I really hope she wins. Just think how awesome it would be to watch Mike Pence have to swear her in,” one commenter wrote. “Chelsea Manning belongs in prison, not the U.S. Senate. He’s a disgrace to our country and to the men and (real) women who have fought and died for it,” another remarked. “Oh Bradley, you are so confused and lost, and you need help,” a third stated.